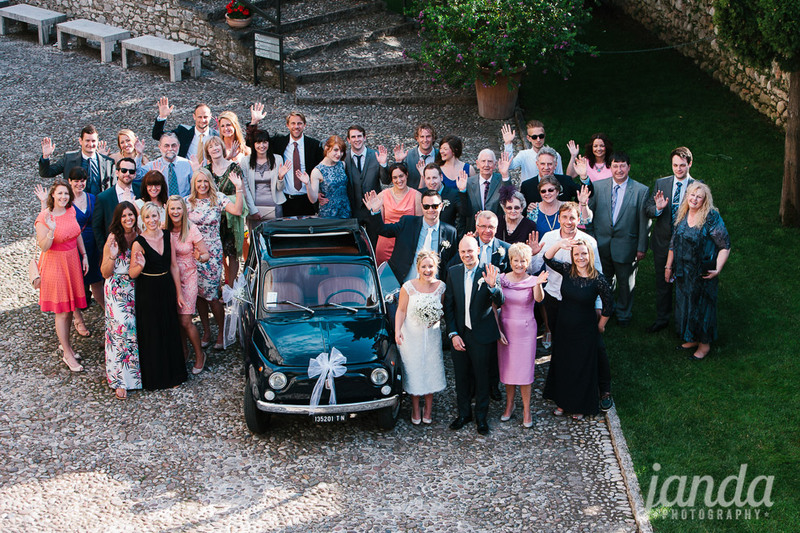 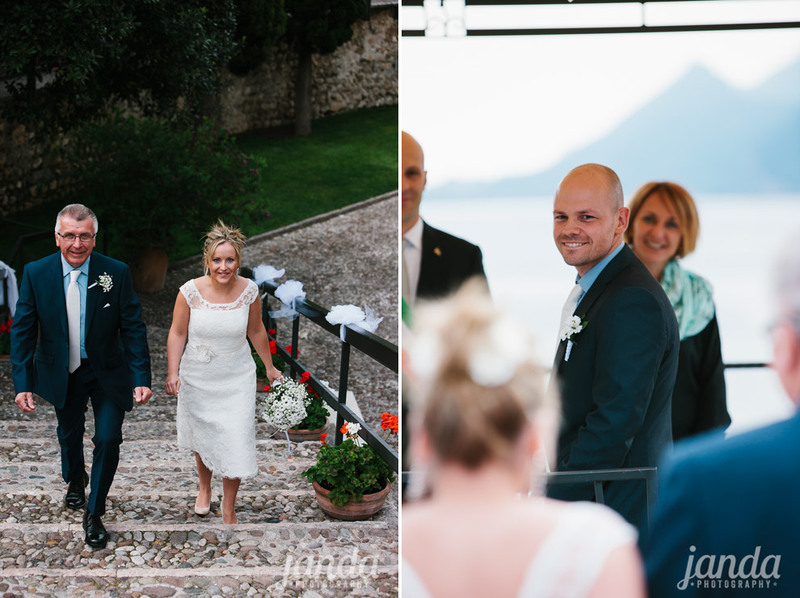 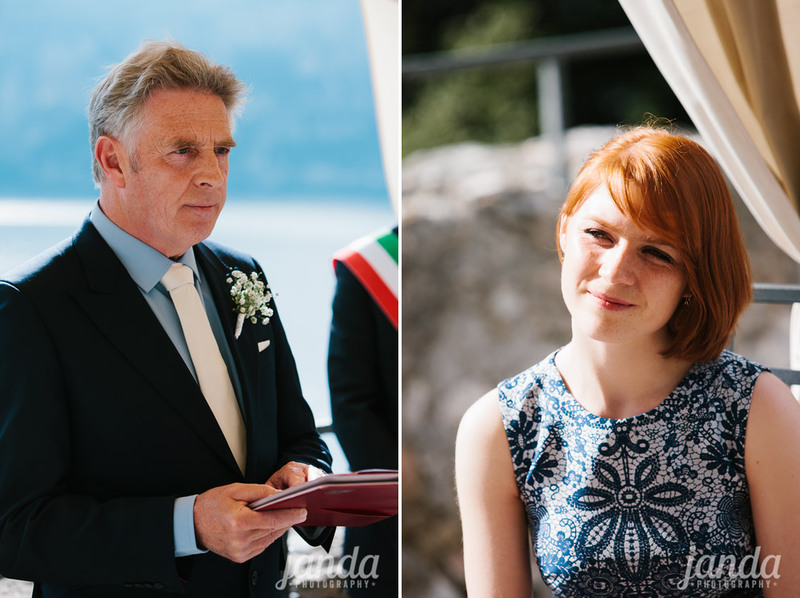 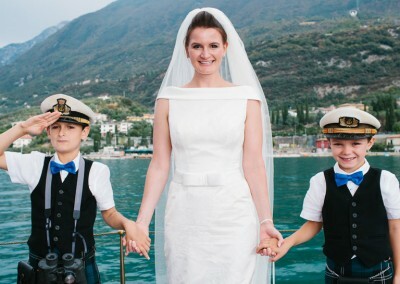 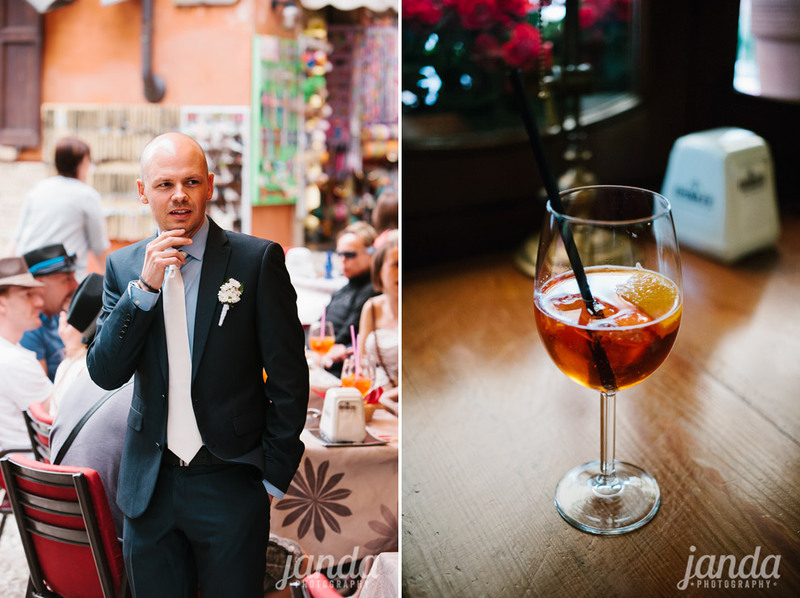 Both Angela and I were back in Italy for Jenna and Rob’s Malcesine Castle wedding. 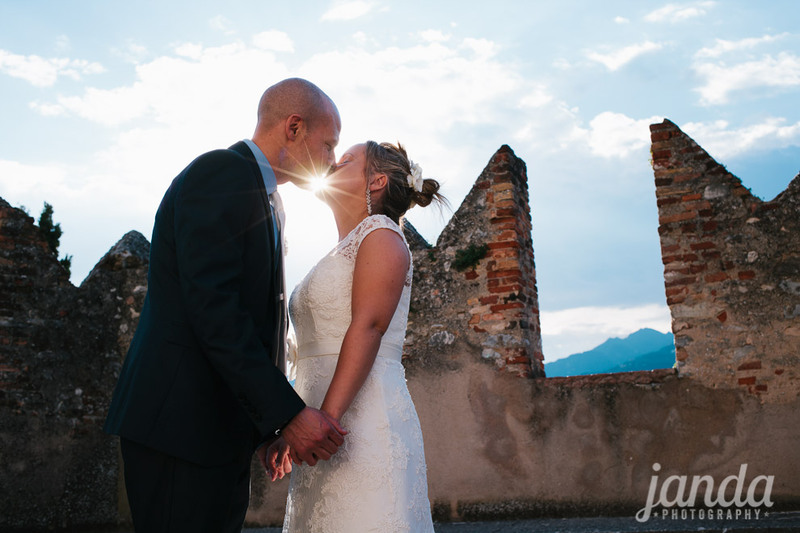 The weather was perfect on the day, and the spring evening light was beautiful for their ceremony. 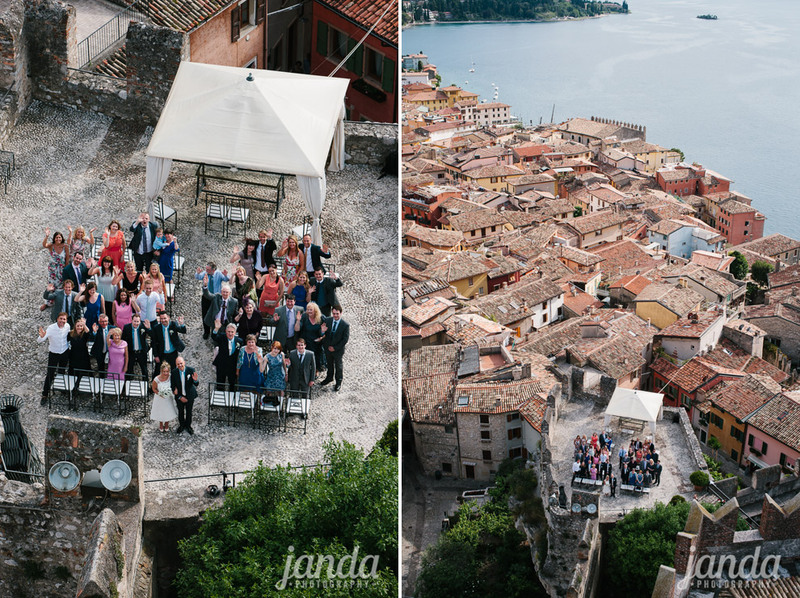 I climbed to the top of the tower for the group shot, which is something I haven’t done since we photographed our very first Italian wedding back in 2010. 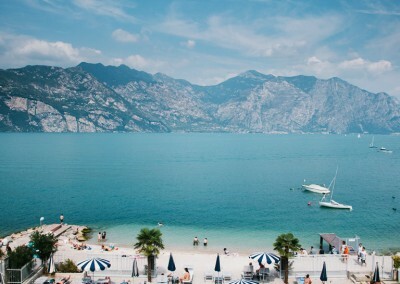 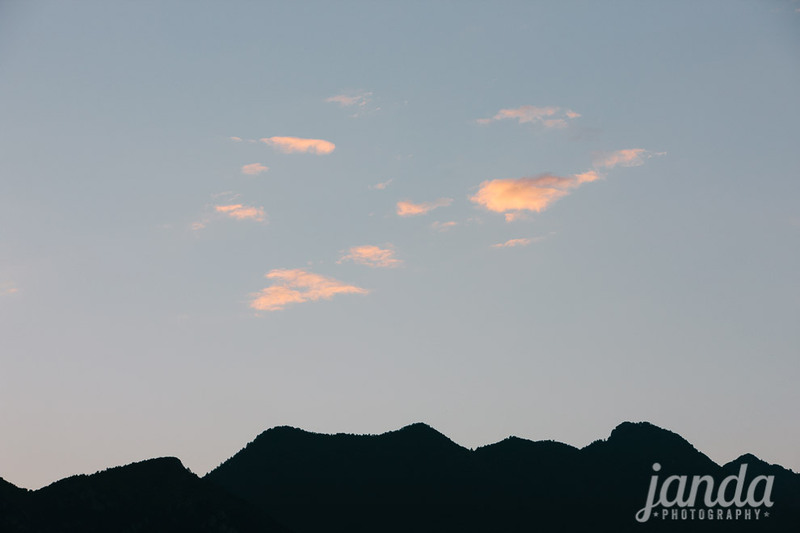 If you get the opportunity, the view is definitely worth the climb. 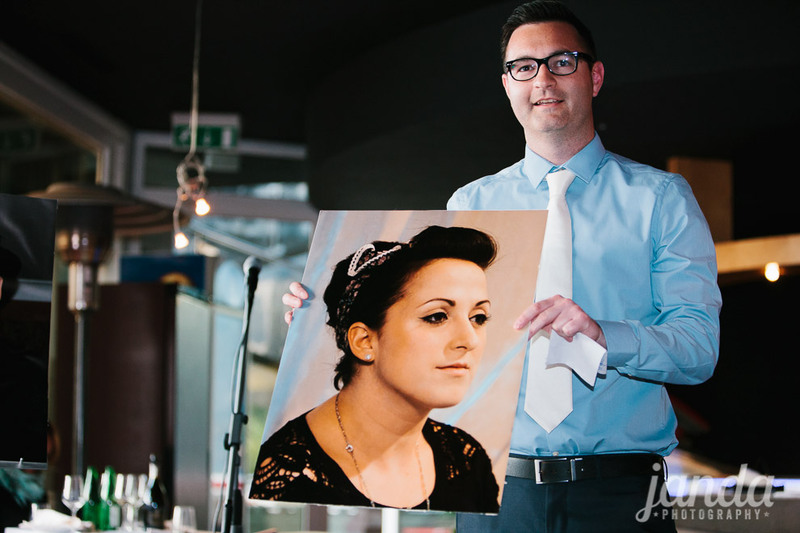 The best mans speech told the story of how Rob ‘snogged’ Eastenders actress Natalie Cassidy in a Brighton night club. 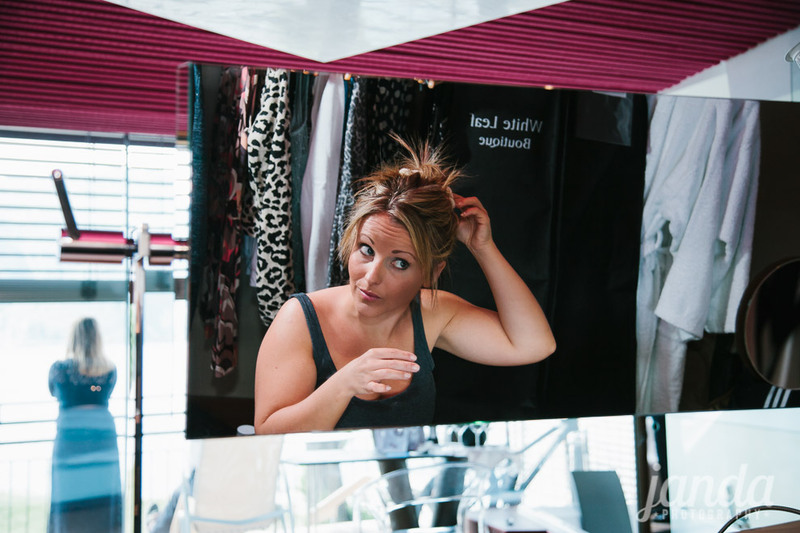 Everyone loves a celebrity exposé! 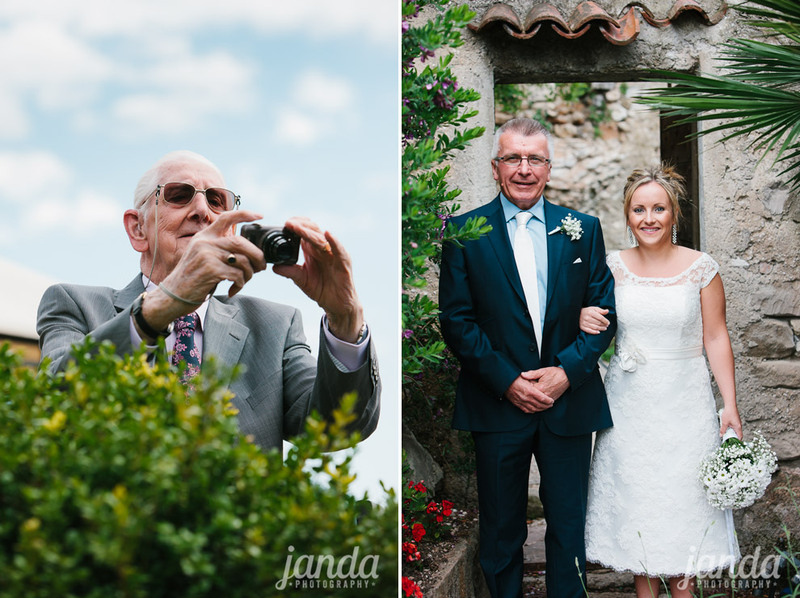 I was so excited to have Jon and Angela photograph our wedding, I loved their style of photography and they were so friendly and approachable when we met them we were immediately put at ease which is great for a couple who always shy away from the camera. 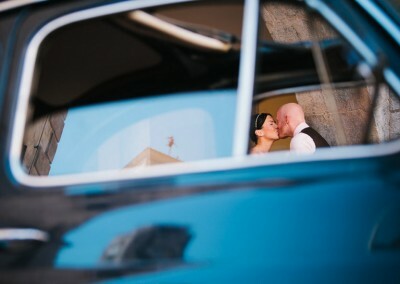 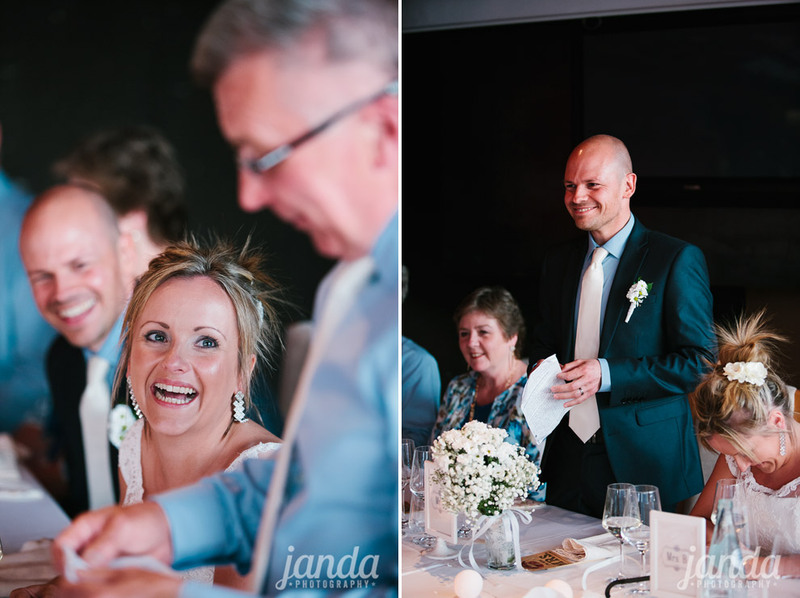 We are so pleased with how our special day was captured and how so much emotion shines through every picture. 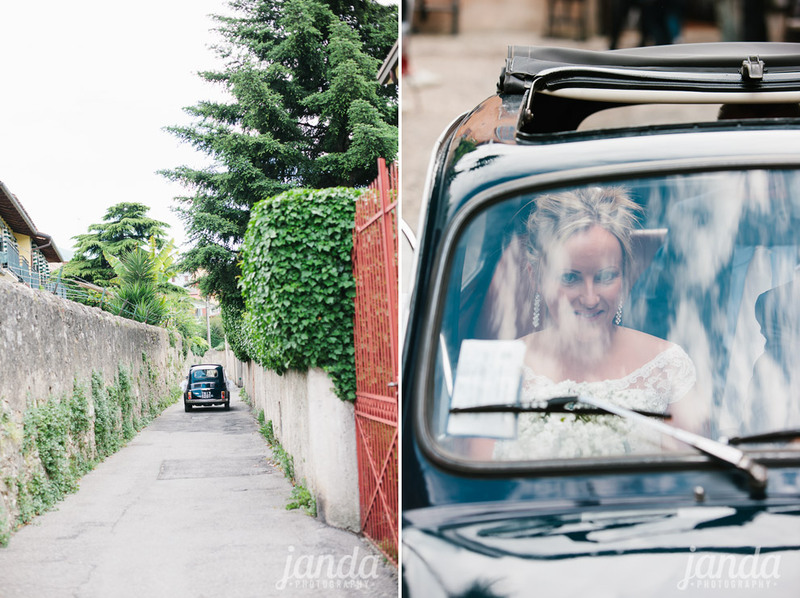 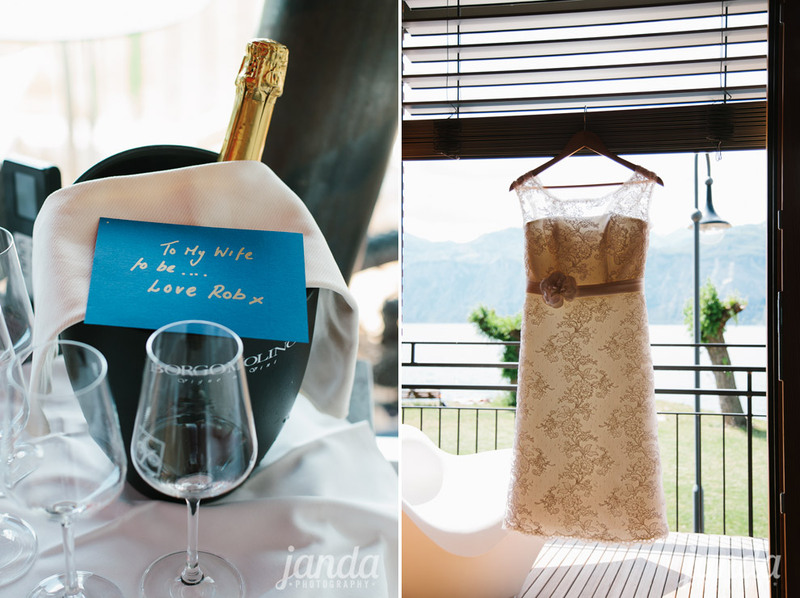 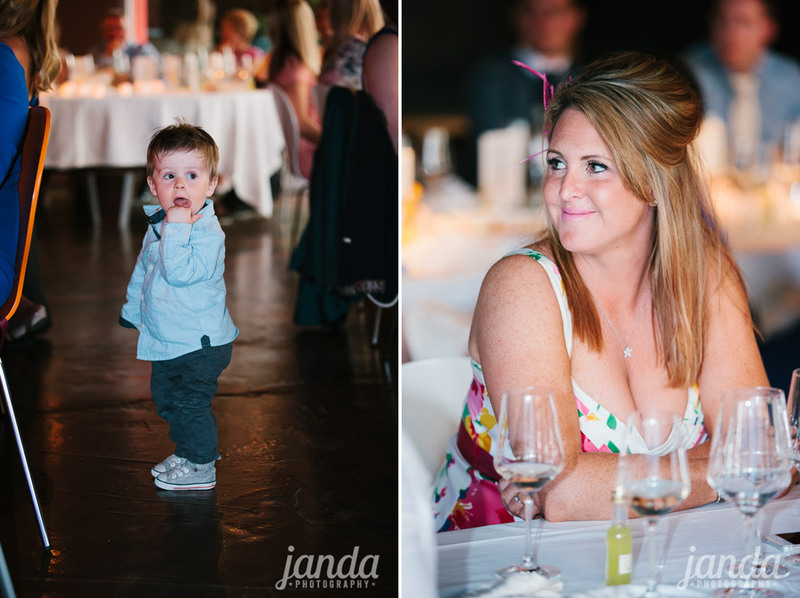 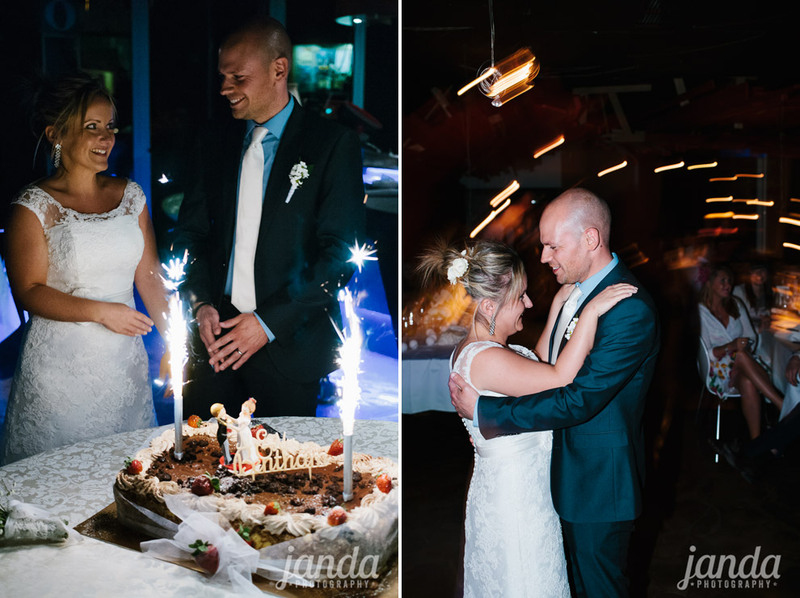 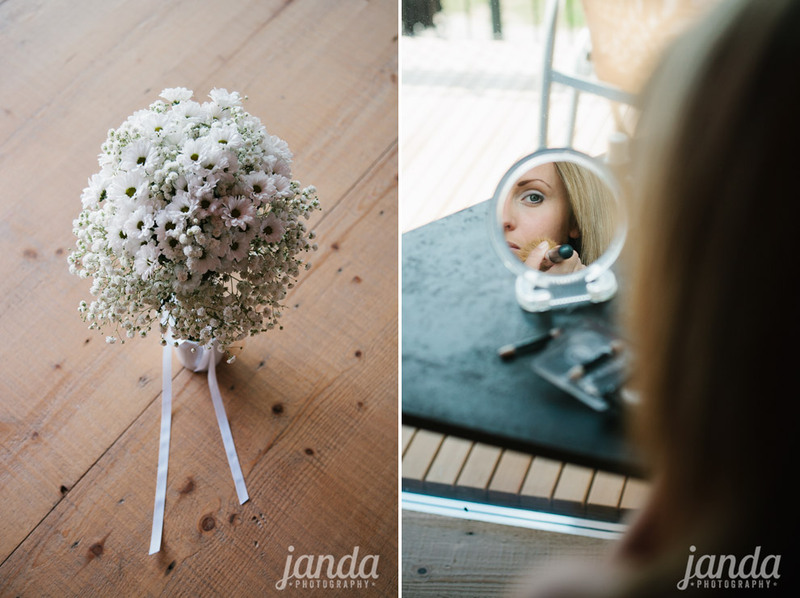 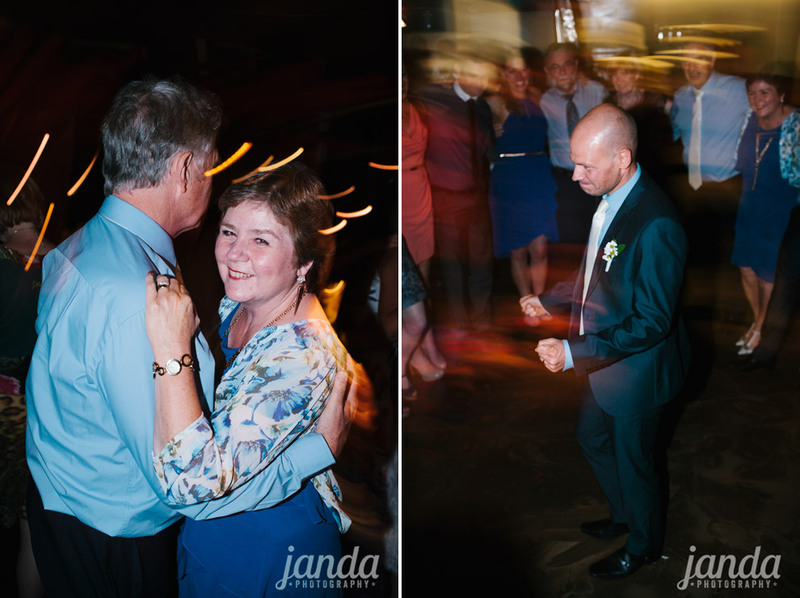 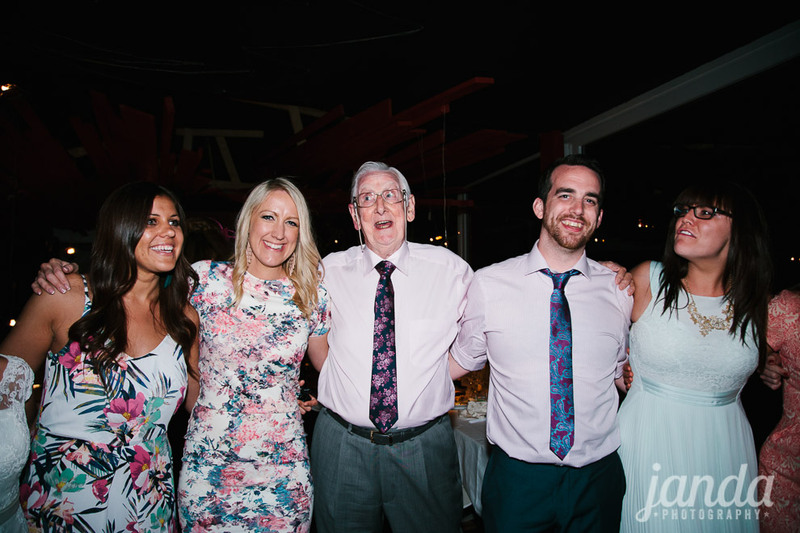 We wouldn’t hesitate to recommend Janda to our friends and family and just wish we could do it all over again!